Thanks for your interest in the Wellbeing Manager position. Unfortunately this position has been closed but you can search our 27 open jobs by clicking here. You must have previous experience of working with senior management with the ability to influence and persuade. Being structured, organised and able to work independently is essential. You will be passionate about your work and will have strong listening, verbal, written and presentation skills. This role is based in central Birmingham. However, the nature of this role will see you travelling to WMP offices across West Midlands region, and we expect a job holder to have a flexible attitude towards travel. This is a unique opportunity for an individual of the right calibre. This role reports to the Head of Employee Relations and Wellbeing. Diversity is fundamental to our success. To tackle today’s complex policing challenges, we need a workforce made up from all of communities that we police. Applications from across the community are therefore essential. If you are interested in the role and would like to discuss this opportunity please contact Amy Smith, Head of Employee Relations and Wellbeing on 07766370010. Be an excellent communicator with exceptional interpersonal, negotiating and influencing skills. 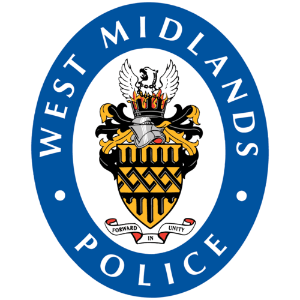 Here at West Midlands Police (WMP), we serve almost 2.8 million people – making us the second largest Police Force in England. We’re in the middle of radically overhauling all aspects of the business with WMP2020 - a modernisation plan that’ll change the way we operate. WMP is a large and diverse organisation where you can develop your skills, knowledge and career in an encouraging and flexible environment. If yes, we'd like to hear from you.